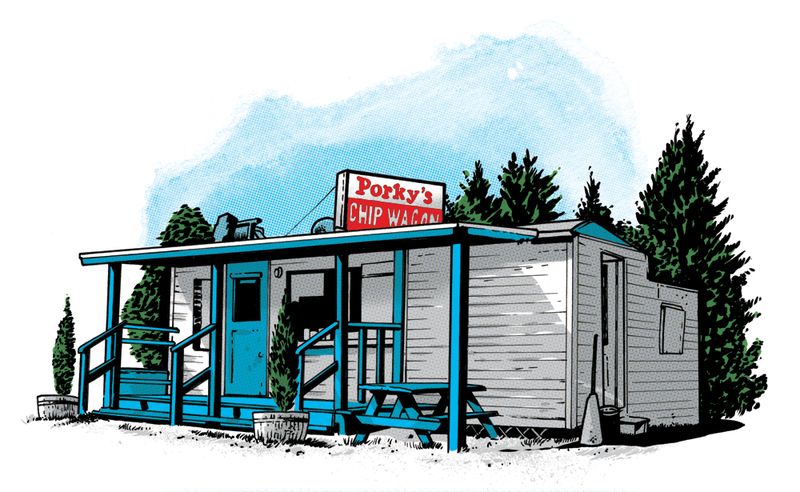 Porky’s is located off Hwy 17 in Coniston (a suburb of Sudbury, ON) on 2nd Avenue. It’s no wagon and has a rather unappetizing name…but maybe the food is good? Have you eaten here? The food is absolutely delicious. I did a few volunteer hours there, and the friendly lady who runs it is always very kind. She always made sure the inside work station and outside table were cleaned regularly, and the other staff are very kind as well.